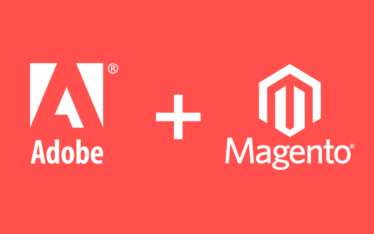 Developing a magento store is now become quite ease for magento developers, and other side the optimization of magento site also have quite impressive results if the site owners has followed through following discussion throughout the article. For improving site performance, enough to drive & increase in sales are always a challenging to every business in ecommerce channel. To overcome this, the magento has the solution with its technology forefront. For a small-scale industry, the launching of site and making into higher search results would be challenging, putting products into higher SEO will need to make several methods and it became compulsory to follow. To engage with customers for a longer time, small industries must have a loyalty program, so that the customers can visit site directly instead of searching. This can improve the business sales and site optimization. The customers can be engaged by giving coupon discounts at the checkouts and offering higher discount to customers who is having more purchases. Another way of engaging the customers by referral reward system which makes customers to get rewarded with several attractive offers. Magento now has reward system which is out of the box to service to its customers for every magento business sites. Magento has Rule-Based product feature enables business products to make cross-sell and upsell products which increase the order size. Cross-selling is important for offer products must be used with specific related products. The merchandising tools can help to sort the categories which can make products that are listed at top in web pages, which can save in time and enables the product cockpit to be refined as per preferences. Another major point of optimization of every ecommerce business site is customer reviews which play major important role. The magento commerce has built-in functionality of making reviews on products can allow both customer review and merchant reviews, which can act as SEO on listing. Lastly the adding unique content to product which can improve site visitor list, which are healthier than any other methods. By updating the relevant content of the product, the search engines can optimize the data on their result lists, consolidating into multiple long-form pieces. Adding of sharing option into social networking or emailing to friend which can gives better option to give customers that keeps engage with the business, not only to this, it will make expanding circle on introducing new customers into ecommerce site.